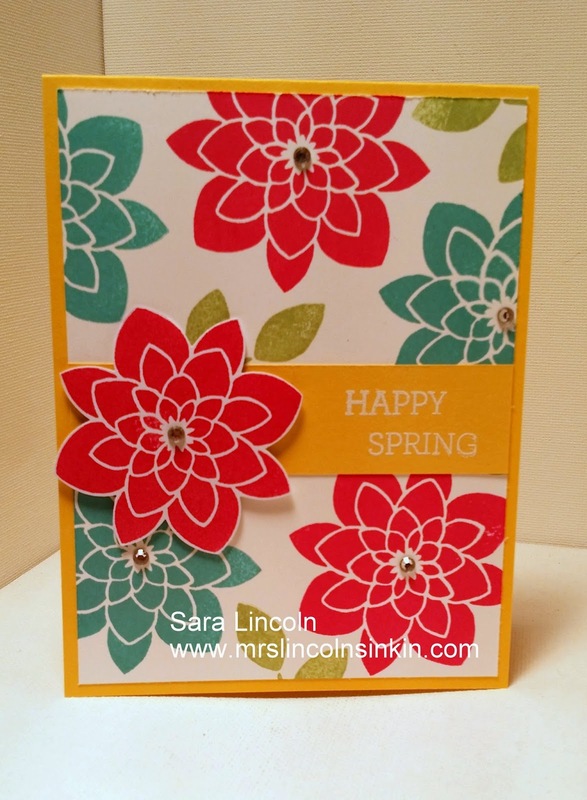 Mrs. Lincoln's Inkin: Happy Spring!!! Hello friends!!! I hope you all had a wonderful Easter and time spent with family and friends. Today was a fabulous Easter for us. We spent the day with family, eating good food, reflecting on what today truly is about, and then finishing it off with an Easter egg hunt! The weather was warm and sunny, it was just all around a great day!!! With the weather being soooo nice today I wanted to post a card that was about Spring... so nothing better for that then a Happy Spring card. My card measures average size of 4 1/4" x 11" scored at 5 1/2" and is in the Melon Mambo card stock. 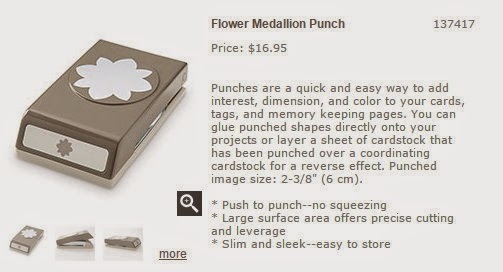 The stamp set that I used is Crazy About You with the coordinating coordinating Flower Madiallian punch. That is the item that I am showcasing today. It is a set and hope that it is not on the retire list that is released later this month.